Had fun drawing Amy, she's a refresher to draw an average female body instead of Shadow's exaggerated one. She's really pretty ^^ and that second one is adorable! 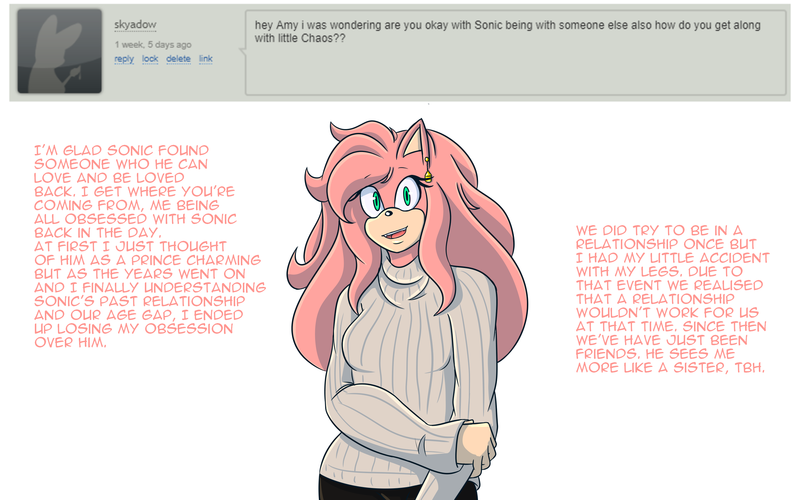 i got a question, amy how do you feel about sonics growing obsession with being a cuck and the cuckold fetish? Sorry, I’m not taking anymore questions. They ended a couple weeks ago.